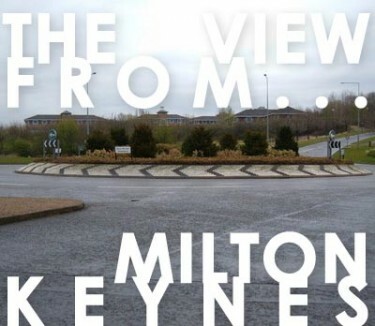 With the recent double whammy of Foo Fighter’s gigs which saw a packed out Bowl, I dare anyone to say that Milton Keynes is little more than a land of concrete cows, roundabouts and a namely confused football team. From the air a place that resembles little more than your granny’s crossword with all it’s endless grid squares has some unearthed musical treats. Ok so I guess we have the tour managers, promoters and general ‘powers that be’ to thank for that weekend’s fine feast of rock and Indie delights. However small and stuffy Milton Keynes is, over the past few years we’ve had some highly talented bands and individuals sprout through the concrete and add a little life into the mix. Anyone remember Capdown? The progressive Ska band who made it onto the Lock Up stage at Reading and Leeds year after year, having a key supporter in the shape of Radio 1’s Mike Davis. Well they are indeed Milton Keynes born and bred. I say it like they’re a thing of the past, actually do kids still skank? Apparently so, as it shows with their long list of gigs scheduled this year including Reading and Leeds alongside Boy Sets Fire and Come Back Kid. Well done to them I say. Another band hailing from MK was a Kerrang favourite, Fell Silent a progressive metal band who seems to have the grubby Pitz Club (RIP) kids under their experimental spell. After a long spell of touring with friends Enter Shikari and releasing a killer album the band went their separate ways last year to pursue separate projects. Enough with the past, lets think present and take a look at all of the talent currently oozing out of the pores of this multi-faceted town (yeah, still not a city – not that we’re bitter). The MK music scene has evolved and shifted in recent years, like any other big town there are trends and fashions that these kids are all too eager to to follow. A band breaking that mould and just making music because they like to be rowdy are Action Beat. If you’re a fan of the softer end of the spectrum there’s a couple of top acoustic acts in Milton Keynes worth opening your ears for. Toulouse Wolfe features the musical talents and pitch perfect tones of Goldsmith student Heather Britton. Her EP is dark in places, almost haunting giving depth and character to her emotive lyrics. It’s astounding to think that this is her first release, already mastering and fine tuning her unique sound – I think there may be some accomplished artists turning a slight shade of emerald in the wake of TW. Lastly we celebrate the talents of Nick Fisher, charming both in character and in song. His music is so pleasurable to listen to, soothes the soul and puts a swing in your step. If you’re having an angsty five minutes Nick will sort you out. Sorted! Posted on September 23, 2011 by Joe Sparrow. This entry was posted in Featured, Headline, The View From.... Bookmark the permalink.